As you plan for retirement, you need to know what resources you have available. Your assets and future income sources will create your retirement income, so it makes sense to take inventory periodically. 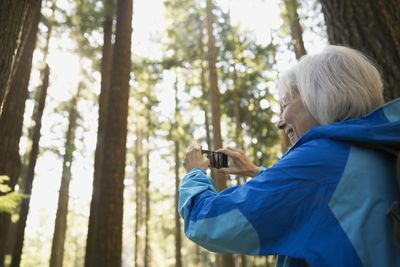 Doing so helps you know where you stand and avoid surprises when Retirement Day comes (plus, you need to continue to monitor assets during retirement). This page should give you an overview of what’s available to you, what you might expect, and what risks to be mindful of on your retirement journey. We’ll briefly touch on how to convert assets into retirement income, but we’ll cover that topic in more depth in other articles. When doing calculations or working with a planner, you can be as specific as you want with your assets. For a quick estimate, you can enter income sources into a retirement calculator as one number. But you’ll get a richer—and ideally, more accurate—picture if you categorize assets correctly. For example, calculators need to know if your retirement savings can come out tax-free, or if you’ll generate tax bills as you take money out. What’s more, pension income from your employer is often taxable, while Social Security benefits can be tax-free or partially taxed. Historically, Social Security has been a primary source of retirement income. But younger generations tend to be wary of relying on Social Security—and for good reason. Social Security cannot continue to exist indefinitely without changes. The good news: There are several ways to “fix” Social Security, and a series of tweaks can keep it afloat for a long time to come. The bad news: Social Security will probably be less generous for future generations than it was for previous generations. So, should you include Social Security in your retirement income? Ignoring benefits: It’s probably rash to ignore Social Security altogether, but you can certainly plan to get nothing—if you end up receiving anything, it’ll only help. But excluding Social Security requires that you save significantly more for retirement, which (for most) translates into more working years or bigger annual retirement contributions that may be hard to achieve. Reducing benefits: A “middle” approach is to assume that you’ll get something, but not as much as expected. You can tell your financial planning software to cut your promised benefits by 25 percent or 50 percent (or whatever)—or just enter a smaller number when you provide your retirement benefit. Start with calculations from the Social Security Administration or your annual statement, and decide how conservative you want to be. Hidden reductions: You might not need to reduce your benefit amount at all. Even if lawmakers “cut” benefits, you might get the exact amount that Social Security predicts. So where do the cuts come in? The next generation of workers might help out by paying higher Social Security taxes or having to wait longer for benefits, or your benefits might not keep up with inflation after you retire. Full benefits: If you’re an optimist, you can always just assume all is well. But be aware that the system is in trouble, and be sure you have other sources of retirement income to supplement your Social Security benefits. Social Security taxes: In some cases, Social Security income is taxable. If your income exceeds certain limits, you may have to pay taxes on up to 85 percent of your Social Security benefits. Get complete details from SSA.gov. Those IRAs, 401(k)s, 403(b)s, TSAs, and other retirement plans you’ve been using over the years can also provide income—that’s what they’re for. And if you’re not currently saving for retirement, there’s no time like the present to start. Taxable or tax-free? Take note of the types of accounts you’re using and determine whether or not you have pre-tax or after-tax savings. After-tax accounts like Roth accounts let you take withdrawals in retirement without owing taxes. For assets in pre-tax accounts, you need to plan for the inevitable tax hit that comes with withdrawals. You might not be able to spend all of the money in your accounts freely. Whether you pay your taxes out of those accounts or from other sources, you’ll have to come up with the money somewhere. If you save money in a health savings account (HSA), you may potentially get triple-tax benefits (just one more reason to use HSAs for retirement). Your own contributions go in pre-tax, the money grows tax-deferred if you leave it alone, and you can take tax-free distributions as long as you use the money for IRS-defined qualified healthcare expenses. Healthcare costs are likely to be significant in retirement, so it’s hard to save too much. All of the assets you own can potentially provide retirement income. Taxable investment accounts, real estate, collectibles, business interests, and other assets all have value, although some are more liquid than others. As with retirement accounts, verify your potential tax liability with a CPA before you sell (or change) anything. You may owe capital gains taxes and trigger other taxes, and it’s critical to know about those things ahead of time. Taxable assets can be helpful because they’re available to you at any time. Unlike retirement accounts, there are no age restrictions on withdrawals, so they provide flexibility when early retirement is on the table. Although pensions are increasingly rare, they still exist, especially for government workers. If you have a pension, it’s essential to learn about your benefits. Income options: If you’re married, find out if the pension covers your life only, or if your spouse will receive benefits after your death. You should have the option to choose. One choice isn’t necessarily better than the other, but you (and your spouse) need to know what to expect if you die first. Inflation options: You also need to know if the pension income adjusts with inflation. Some retirement calculators lack the functionality to accurately deal with cost-of-living adjustments, but robust financial planning software can easily handle most pensions. If you own a home, you may be able to generate income from the equity you build over the years through monthly payments and price appreciation. Sale or second mortgage? To access the equity, you may need to sell the home. Especially after you retire, you may lack the income required to get approved for a loan. But it might be possible to get a second mortgage (a home equity loan or HELOC) after retirement. Alternatively, if downsizing makes sense, you can always sell what you own and buy a less expensive property. Reverse mortgages: Reverse mortgages are an option, but certainly not anything to rush into. Depending on your living situation and your wishes for the family home after death, those loans can be problematic. Research the ins and outs carefully, and take the required counseling programs seriously. Discuss your goals with anybody who might have an interest in the home—that gives everybody a chance to voice their opinions and identify potential problems. If anybody wants you to get a reverse mortgage to fund the purchase of a financial product, run away. Working in retirement might sound like “un-retirement”—it certainly goes against the traditional notion of retirement. But any income you earn in retirement is extremely helpful. It helps to reduce the amount you draw from your assets, and it may mean that you get to “retire” early. All-or-nothing? If you define retirement as stepping away from your J-O-B, then this powerful strategy might work for you. You can leave the long hours behind and earn half or one-quarter of your pre-retirement salary (possibly as a consultant, or under other arrangements). Benefits of working: Working part-time might bring several rewards. You stay active and engaged when you work, which can help keep your mind and social networks healthy. You might get health benefits or contributions to retirement accounts. You keep your skills sharp in case you need to re-enter the workforce for any reason. If you’re doing work you love and making an impact, you get a sense of satisfaction. How long can you work? While working in retirement can help you quit earlier, it’s not an option for everybody. The Employee Benefits Research Institute (EBRI) finds that it’s not uncommon for retirees to be forced into unplanned early retirement—they can’t work as long as they want to. The most common cause of early retirement, at roughly 40 percent, is health (either the worker’s own health or the need to care for a loved one). But some stop working due to employer actions (including layoffs), and about a quarter of early retirees quit because they can afford to do so. Live off the interest? Most individuals need to develop a plan that involves spending down your principal and earnings over time. To live off the interest your investments generate, you need substantial assets. Anything is possible, but it’s essential to look at the numbers to understand what’s feasible for you. We’ll get into more detail with the pros and cons of those strategies elsewhere. Above all, it’s best to prepare to be flexible with your retirement income strategy. The ability to adapt can improve your chances of success considerably. Disclosure: For a comprehensive review of your personal situation, always consult with a tax or legal advisor. ← How Much Income Do You Need in Retirement?